In order to strive for a competitive advantage in their industry, organizations have begun achieving innovation through knowledge-driven learning models to ensure that organizational activities are efficient and effective. 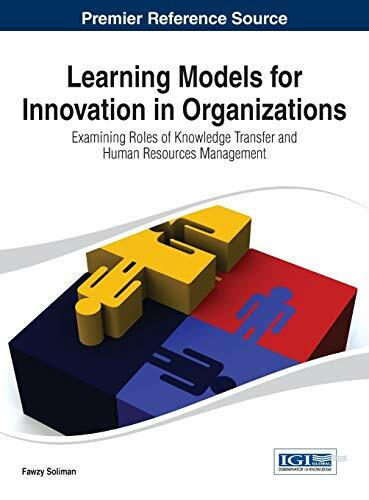 Learning Models for Innovation in Organizations: Examining Roles of Knowledge Transfer and Human Resources Management provides relevant theoretical frameworks and empirical research findings to enhance knowledge management and learning competencies for organizational activities. This book offers assistance and guidance to managers and professionals of innovation firms, learning organizations, and other work communities through tools, techniques, and strategic suggestions for improvement. Fawzy Soliman graduated with a PhD degree and Master of Engineering Science degree from the University of New South Wales, Australia and a Bachelor of Engineering degree from the University of Sydney. Published in international Journals in excess of twenty six papers, six book chapters and three books and in excess of fifty two conference proceeding papers. Former editor of Journal of Knowledge Management, Guest editor of Journal of Knowledge Management and Journal Operations Management and International Journal of Knowledge Management. His publication citations is in excess of 770 with an author impact h-index of 11 and I-index of 12. Supervised 10 PhD graduates. Convenor of Australias first conference on Knowledge Management KNOW99 held on 26-27 November 1999. Taught in a number of international business schools in Australia and overseas. Invited speaker in a number of prestigious conferences. Prior to joining academia, he has held various positions in large Australian organisations.